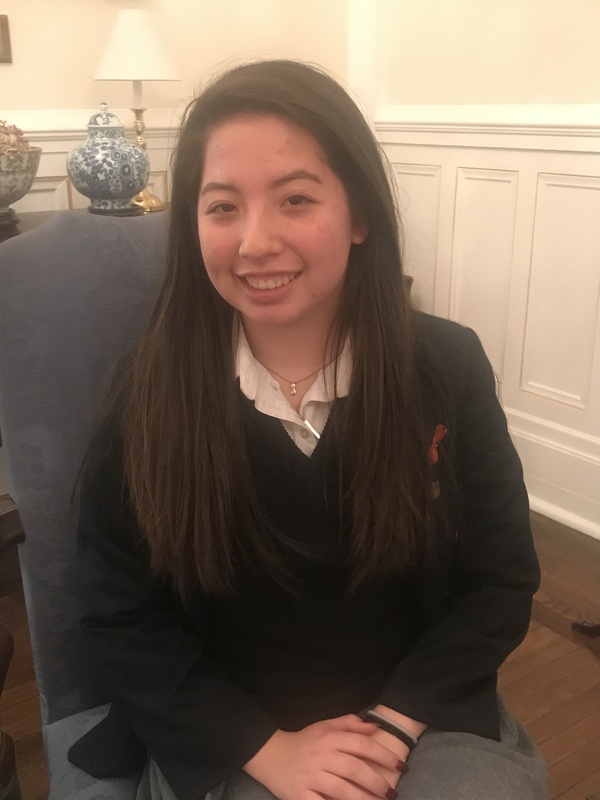 Mrs. Guen Farrales, Academic Dean is proud to announce that sophomore Adele Mauldin has been accepted into the prestigious School Year Abroad (sya.org) program. Adele will spend her junior year studying in France. Along with being a very accomplished dancer, Adele is an honor student and was most recently inducted into the Siena Chapter of the National Honor Society. She is a member of Student Ambassadors, the Glee Club and Dominoes, Student Council and the Soccer Team. To apply to become part of this program, she did the necessary research, including speaking with including speaking with educators who had had experience with the program. She had to complete an application, write essays, send a transcript of her grades, achievements and accomplishments, and participate in a Skype interview. While she will be immersed in French culture every day, Adele’s course of study will include English and Math (both taught in English) and French language. She will also take classes in Literature, History, Social Science and Environmental Science. She will participate in a discovery program in Brittany, trips to Mont Saint Michel and the Loire Valley, and she will have the opportunity to participate in Model UN programs in either Geneva, Grenoble, The Hague and perhaps even a Global Issues Network Conference in Luxembourg. She will return to Saint Dominic Academy in September of 2020 to complete her senior year and graduate with her class in June 2021.